The number of laser hair removal clinics is rapidly multiplying. Hair is out. Skin is in. Chiropractors, salons, and even dentists have and are offering laser hair removal. Do a little footwork first. Ignoring these simple guidelines will cost you, aggravation, wasted time and money. In real estate, it’s location, location, location. With laser hair removal, it’s all about the laser center’s reputation. Have you ever wondered why Disney, Google, Apple, and Starbucks enjoy such good reputations? They give their customers a great experience. Their prices aren’t low. They aren’t cheap. However, they reward people with a positive experience that keeps them coming back. A great reputation comes from giving the customer or patient what they need at a fair price. Their laser experience can guide you toward a superior choice or steer you away from places that you should avoid. Reviews are helpful. Google reviews, YELP and others can give you a feel for the reputation of that laser office. Bankruptcy and National Chains Financial Troubles? Ideal Image’s poor financial performance was announced in a proxy that was filed with the S.E.C. It stated that they had “substantial underperformance” in 2014. Ideal Image reported an operating loss of 185.4 million dollars in 2014. That’s not good news if you purchased a long-term package for hair removal. Why do so many pages of scathing reviews come up if you type in “Ideal Image scam” or “Ideal Image reviews” on Google? The problems with this company have been outlined in three New York Times articles about Ideal Image. Ideal image has been feuding with another rival national laser hair removal chain, Premier Laser Spa. Premier Laser Spa declared chapter 11 bankruptcy on October 19, 2015. This resulted in the closing a number of its offices including in Milwaukee and Minneapolis, which infuriated their customers who had committed thousands of dollars to a long-term package. 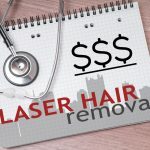 Some had paid for expensive laser hair removal contracts just days before the bankruptcy and closings were announced. Do you want to take that kind of a chance with these kinds of cockamamie businesses? Never prepay for any services including laser hair removal. 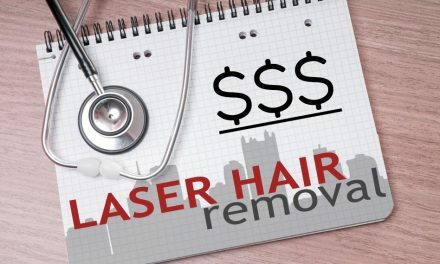 Recently a third huge national hair removal chain with an office in Pittsburgh declared bankruptcy. Suddenly and without warning, the following company closed their doors in all 135 offices across the country. American Laser Skincare closed forever stranding shocked customers with worthless unfulfilled contracts. Laser hair removal should not be considered casually. The laser is a medical device. There must be direct medical supervision with an experienced laser physician on site. National laser hair removal chains only use a doctor in the role of a medical director. They have no physician in the facility at the time of your laser procedure. Some of these places offer laser parties. How numbskull does it get? It’s insane. The inmates are running the asylum. No medical supervision – Is that what you want? Getting laser hair removal treatments have risks that most people don’t consider. When you go to places for massage, Botox or injectable fillers may be mentioned as the next step in “freshening” your look. If you are up sold to rosacea treatments or laser, a boundary has been crossed. Now you have become a patient. Since there are no regulatory bodies in most states to protect you, anyone can operate a laser legally. No certifications, diplomas or standardized testings for minimal degrees of competence are required. The safest and most cost effective way to ensure the best results possible is to have your laser procedure performed in an experienced true doctor’s office. 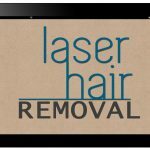 Experienced and Established Laser Hair Removal Clinic? Make sure both the office and the laser operator has years of experience. How many laser treatments have they personally performed? How many lasers have they used during their career? How many years have they performed laser procedures? Do they use a True Laser or a Laser-Like Intense Pulsed light (IPL) machine that is not as effective for hair removal? IPL also is harder to use, more painful and has a longer learning curve. How do they handle complications or suboptimal results? 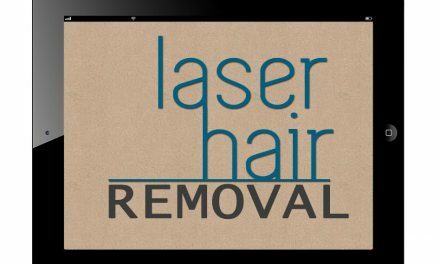 Is laser hair removal a sideline that is only done occasionally? What percent of their total patients have had laser hair removal? Are there multiple laser operators with different degrees of experience and some novices who will perform some of your treatments? Do they claim millions of laser treatments done across the country by their company – but the personal experience of the laser operators in your location is sketchy? Flesh out their true numbers. Find out their unadulterated numbers. That’s the only thing that really counts. That is what real laser hair removal experience is all about. High Pressure Sales and Contracts? Be very careful on the day of your initial consultation. If you feel pressured at all or confused by all the deals, do not sign anything. All the discounts, BOGOs, and memberships can be very confusing when comparing apples to apples. The sales pitch can be intoxicating. It is meant to be exciting. Often financing is available in these types of places making it seem more attractive. Take all of their papers home. Read the fine print especially if there is a guarantee. Many laser chains disqualify any “guarantees” if you tan at all! Think about it. Get another opinion or two from other laser centers. Compare your options. Trained salespeople will do their best to try to get you to commit to a binding contract that day. What they tell you verbally does not matter if it’s not written in the contract. Don’t have laser hair removal regret! 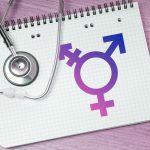 The first step in choosing the best laser hair removal office is thoughtful research. Do not sign anything impulsively. Don’t prepay for laser hair removal. If you don’t prepay, you’re not locked in. If you don’t like it or it doesn’t work for your hair color or skin tone, you are not stuck. Contracts have loopholes. Don’t be left out in the cold without a coat. Avoid places that pressure you with a hard sell and offer package deals that entice you to spend more money than you need to spend. When you compare these deals, they are usually your most expensive laser hair removal choice. Cookie cutter packages are risky because laser hair removal results vary from person to person. The large national laser hair removal chains are financially shaky. Be wary of their ability to stay in business. Reputable doctor’s offices specializing in laser hair removal are your best bet. These important tips will save you a lot of money and aggravation when choosing a laser hair removal clinic. Call us at 724-969-0600 to learn more. Is There a Laser hair Removal Image Problem?